When working with FAE mulcher, the main thing that you should work towards is the performance of the machine. It is through the performance that you will be able to get the most out of your machine. 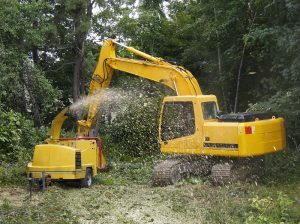 The productivity and output of the mulching machine are substantially determined by the performance of the machine. However, the performance of the machine is greatly determined by the condition of the teeth. That’s why it is important to understand how to maximize your FAE mulcher teeth. To maximize your FAE mulcher teeth performance, it is not difficult as some people would tend to think. What you need is to learn the best practices on how to do it. Here are some of the best practices that will help you get the most out of the FAE mulcher teeth. The most important thing is to maintain the quality of the mulcher teeth. This is critical especially when it comes to the replacement of the mulching teeth. There is no way you can reach peak performance with your FAE mulcher teeth if the quality of the teeth that you have selected is poor. You must make sure that the type of teeth that you have on your machine is of the best quality. Free rotation of the teeth is another key thing that you need to consider. In an ideal mulching situation, the FAE mulcher teeth should be rotating freely. Failure for the teeth to rotate freely causes the teeth to wear down on one side and also reduce the performance of the machine. If you find that mulcher teeth are stuck, then there is a problem. The best practice is to tap the affected teeth with a rubber mallet or brass to remove the clogs. These are the best practices for maximizing the performance of FAE mulcher teeth. Just observe them while mulching and you will see a huge difference.